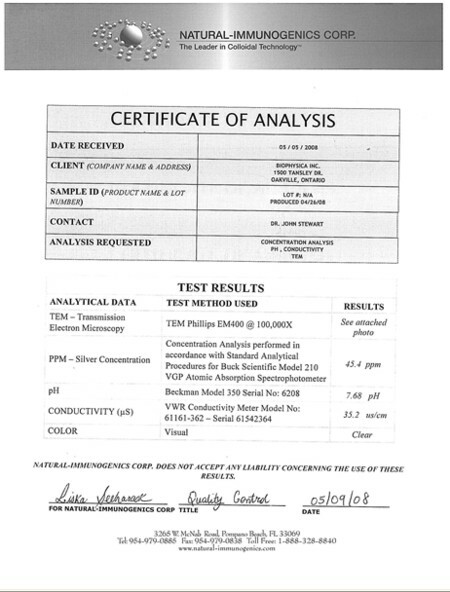 Our sample results (September 5, 2008) are available below showing a stable clear CS product with 45.4 ppm. The TEM picture (Transmission Electron Microscopy) shows spherical particles in a range of sizes from 2 to 8 nm. This is an impressive achievement due to the high frequencies we use to induce a high Zeta Potential. CS at this high concentration would generally become cloudy due to agglomeration of nanoparticles. GOLD: Pure distilled water. 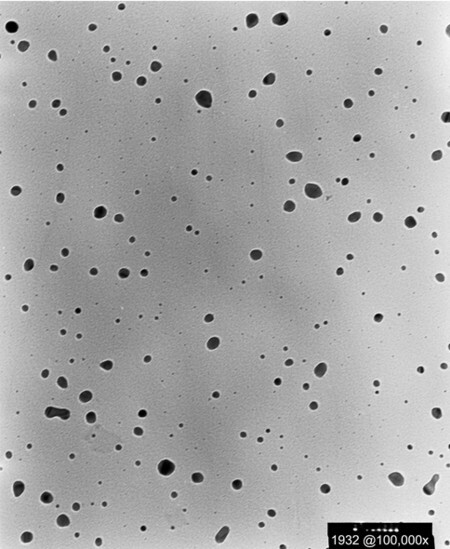 Results show that particles of our sample #1 have size of 2-3 nm. Concentration could be increased from 0.56 ppm with charging for 10 to 20 days instead of only 2 days.